It gave the children an opportunity to bond with their teachers! 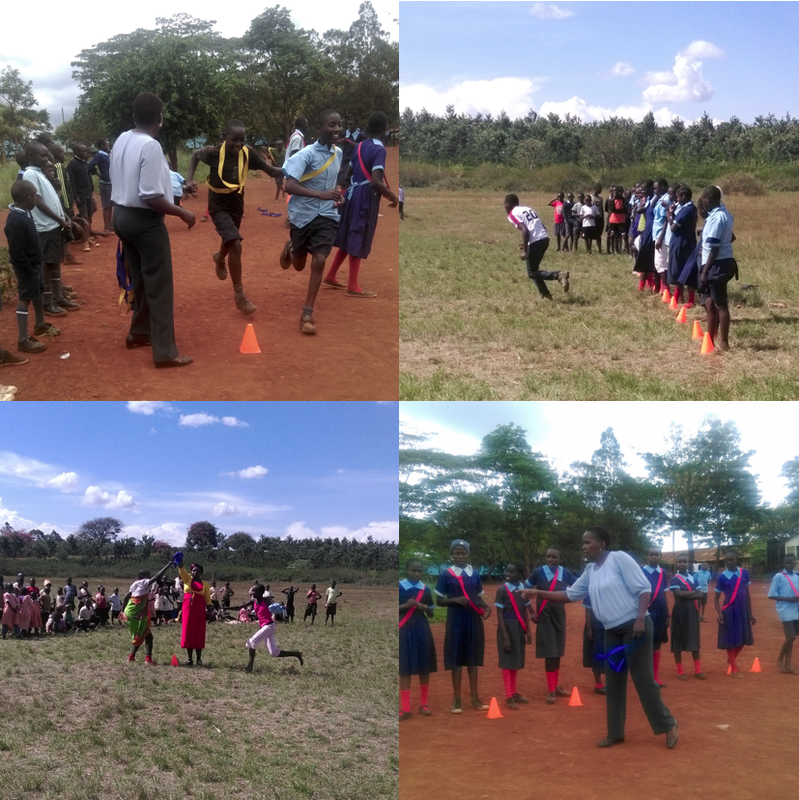 Last month we organized another 2 sport tournaments in Kenya. 6 schools participated namely Silanga Primary School, Rubiru Primary School and Iembeni Primary School, Athena Primary School, Garissa Primary School and Kianjau Primary School. During the tournaments different games were played. Teachers from these schools were very cooperative and participated in the planning of the activities that were to be carried out during the tournaments. During the tournament, they ensured that the day was successful by conducting the games fairly. The tournament presented an opportunity for children to display their various talents some in games and others in reciting poems, dancing and singing. They also had a lot of fun cheering for the other children and dancing to the background music. It also gave them an opportunity to bond with their teachers as they played and danced together.